It is important to understand the gift tax limit if you are planning on making a gift of any money or property during your lifetime. Giving gifts can result in taxes being assessed unless you keep the gifts below a certain dollar value. You should talk with an estate planning attorney about gift giving so you can learn about how to make strategic gifts during your lifetime in order to minimize tax consequences of property and asset transfers. Nirenstein, Horowitz & Associates has extensive experience assisting clients with issues related to gift taxes and estate taxes. Our legal team can explain the gift tax limit, can help you to understand how giving gifts during your lifetime can impact your estate tax planning, and can assist you in making smart choices so you and your loved ones do not need to pay any more taxes than the minimum required by law. 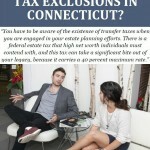 What is the Gift Tax Limit in Connecticut? In Connecticut, you can make some gifts without being subject to tax; however, there is a gift tax limit and you will be taxed if you exceed it. The gift tax limit in Connecticut is now related to the estate tax exemption limit, so you should be sure to consider how gifting money and property impacts both your immediate tax liability and your long-term tax liability. As the Connecticut Department of Revenue Service explains, there was a separate gift tax assessed on certain gifts in the state until 2005. In 2005, the Connecticut General Assembly repealed the gift tax. Instead of this separate tax, the General Assembly passed a law establishing a unified estate and gift tax. The state of Connecticut has prepared a booklet explaining how the unified gift and estate tax works and providing the forms that must be completed. According to the booklet, taxable gifts that are made after 2011 are not going to be subject to gift tax unless the aggregate amount of the gifts is in excess of $2 million. If the gift is more than $2 million, then you are taxed at 7.2 percent as long as the gift does not exceed $3.6 million. There are different taxes assessed on larger gifts, all the way up to gifts exceeding $10.1 million which are taxed at $748,200 plus 12 percent of the amount over $10.1 million. You also need to be aware that your taxable estate when you pass away is calculated by adding up the value of countable assets at the time of your death, as well as the aggregate amount of taxable gifts made during your lifetime. If your taxable estate exceeds $2 million, then your estate will have to pay estate tax. What is the Federal Gift Tax Limit? The gift tax limit is different for the IRS than the state of Connecticut, and you will need to file a federal return and pay federal gift taxes if you give gifts exceeding the excludable limit, even if you don’t have to pay the state of Connecticut. Under federal law, each person is allowed to give a gift of $14,000 annually to each individual recipient without being taxed. This means if you have four children, you could give each child a gift of up to $14,000 (as of 2017) and would be below the gift tax limit and thus would not be taxed. If a married couple wanted to give a gift to their child, both the husband and the wife would be allowed to give that child $14,000, so the child could receive gifts of $28,000 tax free. The gift tax limit periodically increases so you can give larger gifts without having to pay federal gift tax. 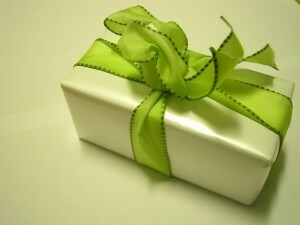 Inter vivos gifts (gifts during life) can be an important part of a comprehensive estate plan. 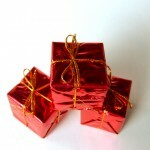 However, you need to know how gifts will impact your tax situation. You should talk with Nirenstein, Horowitz & Associates about federal and state gift tax rules and about gift tax limits so you can make smart and informed choices. Our experienced and dedicated legal team can assist you in minimizing your tax burden and protecting your wealth as you pass it on to your loved ones. You can also join us for a free seminar to find out more about the rules for gift tax on the state and federal level.